Bad news for the Detroit Pistons. According to a report from Yahoo Sports, Pistons All-Star forward Blake Griffin will likely miss the entirety of the team’s first-round series against the Milwaukee Bucks due to a nagging left knee injury. Griffin missed Game 1 of the series on Sunday, and the Pistons lost the game 121-86. 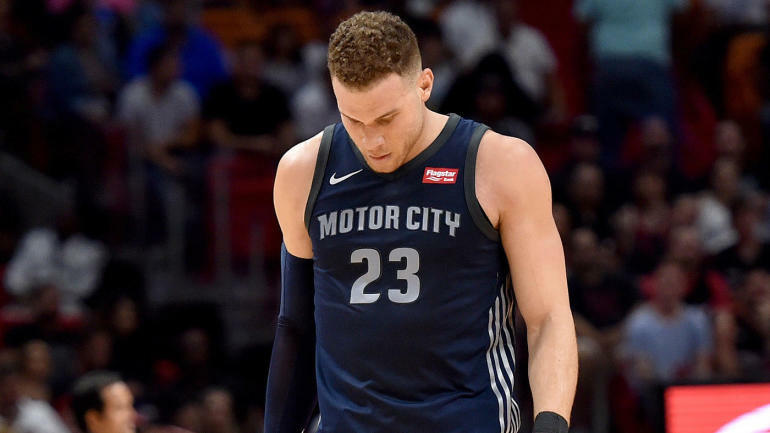 The issue with the knee has been bothering Griffin since late March, and it caused him to miss several critical regular-season games down the stretch of the season. Griffin will be listed as ‘day-to-day’ throughout the series, and there’s a “slim chance” he plays, per Yahoo, but that doesn’t look likely. Game 2 is Tuesday (8 p.m. ET — watch on fuboTV). The good news for Griffin and the Pistons is that there is no structural damage in the knee, though it’s not known at this time if any sort of surgery will be needed over the offseason. The Pistons started Thon Maker in Griffin’s place on Sunday, and Maker finished with four points and four rebounds in 22 minutes — well short of the All-Star-level production that Griffin provides for the team. During the season, Griffin appeared in 75 games for the Pistons and averaged 24.5 points, 7.5 rebounds and 5.4 assists per performance while shooting 36.2 percent from long distance. For what it’s worth, Griffin said that he would be out on the floor with his teammates to battle the Bucks if it were up to him. The Pistons were always going to have their hands full with the top-seeded Bucks, but without Griffin the task becomes that much harder. But, at the end of the day, Griffin’s long-term health is the top priority for both Griffin himself and the Pistons organization, so you can expect both sides to act accordingly.